We love history in our household. 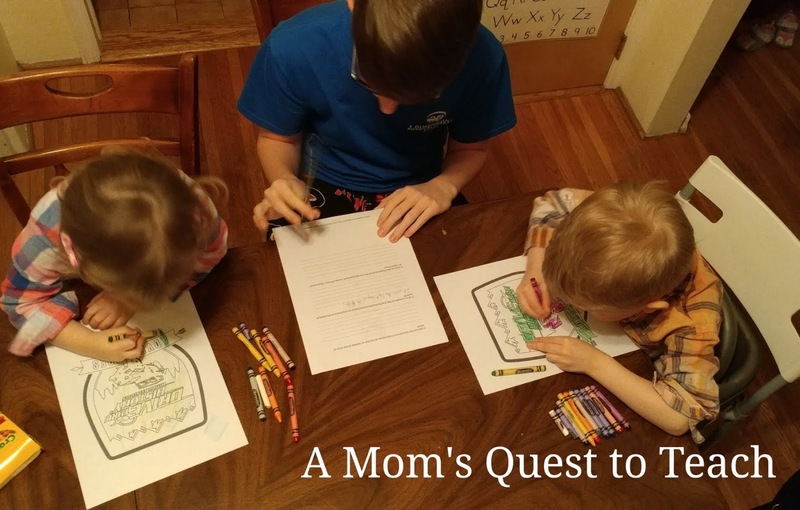 So, we were very excited to review Drive thru History Adventures, which offers curriculum for three courses – Ancient History, American History, and The Gospels. We focused upon Bible History Adventures, an 18-part series on the Gospels introducing children and families to the life of Jesus. Each set of curriculum contains a half-hour program that transports viewers to locations around the world as they learn about the topic of that episode. The episode is accompanied by readings, sometimes another brief video, and a discussion worksheet with questions and answers to further the conversation. Using the Adventures TV app on my phone, I was able to stream some episodes of The Gospels for us to watch together as a family in the living room. This was great because it meant that not only was my 15-year-old teen viewing the episode but so were my 2- and and 4-year-olds. We were able to discuss the episodes together as a family. Additionally, closed-captioning is now available for The Gospels series after viewers requested it. This is great for hearing-impaired viewers. It also makes it easier to view with small children (who like to provide their own commentary!). 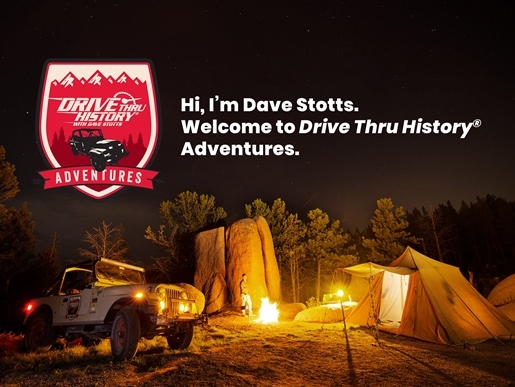 As a new member to Drive Thru History Adventures, Dave Stotts welcomes you in several emails and videos to help you on your journey. 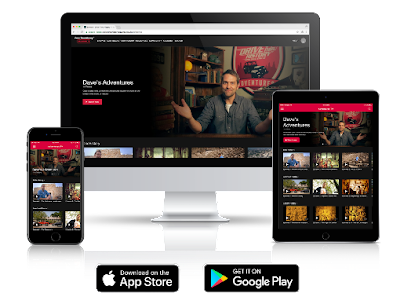 There are eight videos to help you get started that introduce you to the curriculum, Dashboard, community, and the Adventures TV app. Receiving each email a day or so apart was great for me because I didn’t feel overwhelmed that all the information was given to me at once. It was all available for you to dive right in from the minute to become a member but if you need to take things one step at a time, these reminders were great to introduce you to the key features available as part of the membership. We were all blown away by the very first episode of the Bible History Adventures. The introduction of The Gospels (The Historical Landscape) is very impressive. Dave Stotts walking by famous individuals of history is a memorable image. After watching each episode in the Bible History Adventures, students are presented with discussion questions along with images, paintings, maps, scripture readings, and additional readings and videos from scholars and others. In the Dig Deeper section accompanying the second episode – The Announcements, for example, there is a brief video about Roman coins which uses the American penny with Abraham Lincoln depicted on it to introduce the idea of learning from coins. Episode 6, Jesus Returns to Galilee, is accompanied by scripture readings from all four Gospels, and several articles and a video discussing the geography of the area in the Dig Deeper section. Articles are posted on a regular basis, adding new content to the Adventures you are studying. 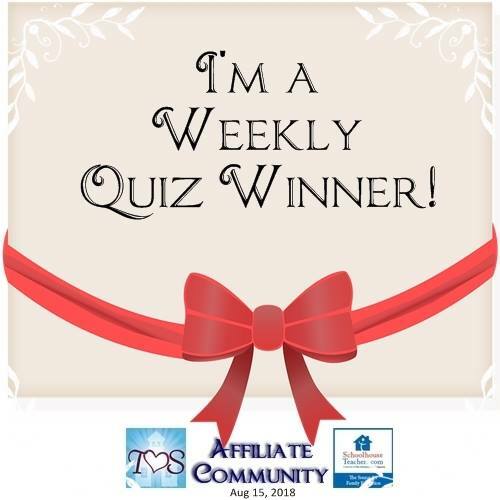 One of my family’s favorite parts of our membership is the community that is fostered through the private Facebook group for members, regular email updates from Dave Stotts, YouTube videos, Instagram posts, and other social media avenues. We love the weekly updates and the holiday-themed videos. We have watched the brief holiday videos – like that on Groundhog Day and Valentine’s Day – at the start of dinner. 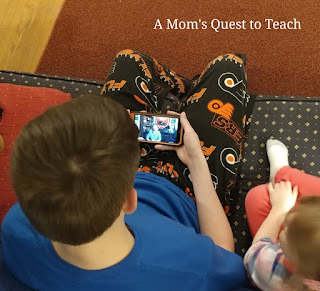 These videos then give something for the whole family to discuss together – from the 2-year-old to my husband and me. The welcoming community atmosphere of Drive Thru History Adventures makes you feel like you personally know Stotts and his family as he provides updates through emails and the Facebook group. I also asked him what he thought of the host, Dave Stotts. He said, “Dave Stotts is quite the character. He is charismatic and awkward at times but in a good way.” I would agree with this sentiment. Stotts is down to earth while sharing his passion for history. In each episode, it is evident that Stotts is “passionate about history” as he said in a recent update video. The presentation of the scripture readings side-by-side on the website made it very easy-to-read. As an example, reading about John the Baptist this way in each of the four Gospels was interesting. Your children can still use your preferred translation by simply changing it at the top of the embedded Biblia.com application. In the concluding episode of The Gospels, “Who Is Jesus,” each prophecy that Jesus fulfilled is stated, along with the scriptural reference appearing on the screen. Accompanying archeological evidence is also provided. Included with the subscription to Drive Thru HistoryAdventures are two other curriculums that we will be checking out when we complete the Bible History Curriculum – American History and Ancient History Curriculums. 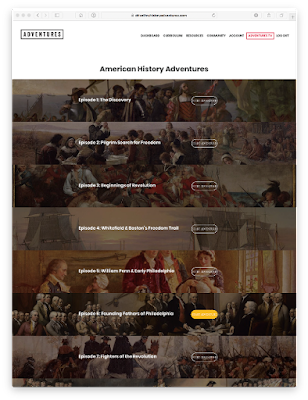 In the American History Curriculum, your child will watch a series of 12 episodes and explore the history of America from Columbus to the Constitution. Through viewing the episodes and reading primary source documents like the Mayflower Compact and George Washington’s First Inaugural Address (which are available to both read online and to download and print), your child will learn about the Christian worldview, courage, and character. Through the 12 adventures in the Ancient History Curriculum, your child will learn about the empires of Greece, Rome, and Asia Minor, read excerpts from Herodotus’ Histories, Homer’s Iliad and Odyssey, the Bible, and other works. By the end of the 12-week adventure, your child will have learned about the role of the ancient empires in the rise of Christianity and Western Civilization. Subscribers to Drive Thru History Adventures also have new programs to look forward to in the summer of 2018. That is when the new Acts to Revelations Series is planned for release. The series will have eighteen 30-minute episodes and curriculum materials to accompany it. Stotts also said they have many other ideas in pre-production. So, we have more to look forward to in the coming months and years! 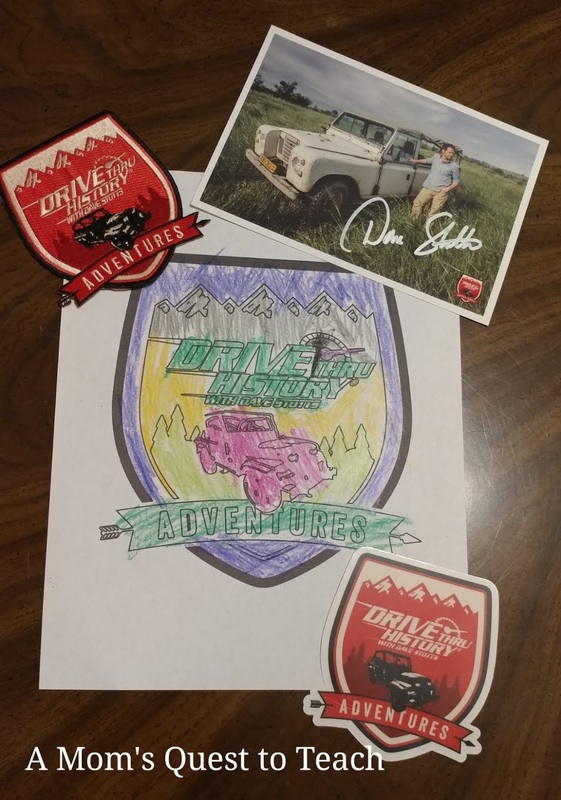 My family wholeheartedly recommends a Drive Thru History Adventures subscription because you gain access to so many valuable resources including the videos, curriculum, and a growing community. There are two great discounts available if you want to join Drive Thru History Adventures today (please note discounts are available as of February 27, 2018). Join Drive Thru History Adventures with an AnnualSubscription and receive a free copy of The Gospels on DVD through the Drive Thru Adventures Website. The second discount available is if you are a reader of The Old Schoolhouse ® Magazine, you will find a code for 20% off of an annual subscription in the magazine. it's a great resource isn't it? We are really enjoying it...so many great resources all wrapped into one.